Centre for Social Research in collaboration with the American Centre, New Delhi hosted a programme to discuss and rise against the deep rooted patriarchal norms and the violence that it stimulates. Titled as, ‘Engage, Challenge and Change: Domestic Violence’, the programme was envisioned as a platform where a concerns related to the status quo of crimes against women in India could be raised and solutions can be sought and discussed at the same time. The programme was opened by Ms. Emily White from the American Centre, who welcomed the partnership with Centre for Social Research for hosting such an event. Dastak, a street play performed by the renowned Asmita Theatre Group at the event, highlighted the obnoxious crimes that women are dealing with in the society at present. The vital performance of the group highlighted crimes like street harassment, acid attacks, child abuse and many more through their play and shook the conscience of the audience. 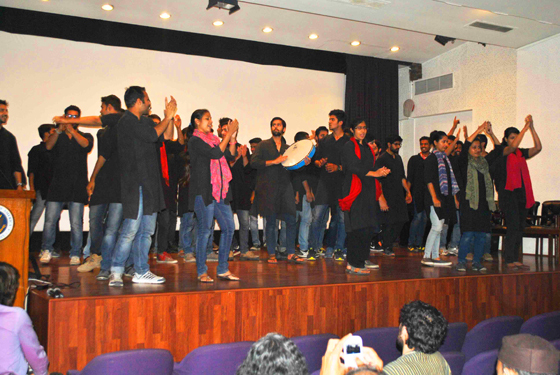 Next to the play, ‘Second Wind’, a documentary produced by Centre for Social Research, was screened. The film sails through the lives of three domestic violence survivors and narrates their tale of courage and dignity. The story presents all the hardships that the women went through and how a helping hand of our counsellors at the Crisis intervention Centres changed their lives. This programme was a brainchild of Mr. Amitabh Kumar (Head, Media and Communications, CSR) who also anchored the event and opened the floor for questions after the screening. 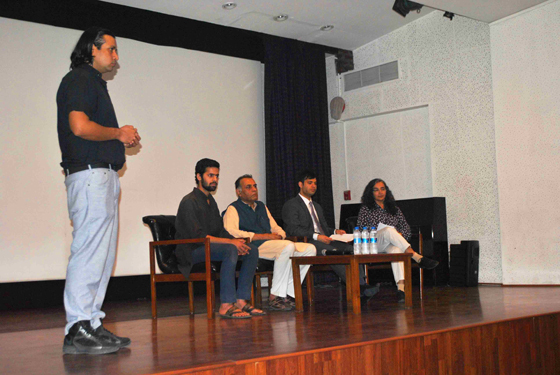 For the Q&A, he invited Dr. Anand Kumar (CSR Board Member), Dr. Anju Dubey Pandey (UN Women India), Mr. Salman Khan (American Embassy) and Mr. Yatin (Asmita Theatre Group) to grace the panel with their experienced inputs. A huge participation was received from the audience who played the major role in making the programme a success. The questions raised the concerns on the practical approaches that can be adapted to fight back violence and what kind of involvement should be expected from the members of the civil society. Along with this, issues like slow functioning of the judiciary, lack in implementation of laws, immediate steps that can be taken by the civil society members, ill response of the authorities accountable for safety of women were raised and well answered by the panellists.